February 8, 2014 (PINE HILLS, FL) — Since day one, the City of Orlando’s District 5 Commission race has been dramatic, with two candidates running against long-time Commissioner Daisy Lynum. There are about two months left in the race and judging from recent news reports, it has turned into something like a TV reality show, especially with Lynum’s son filing Friday to run, in the same race. E. Juan Lynum said there would be only one Lynum name on the ballot, according to news reports. It has not been confirmed who will actually stay in the race. Commissioner Lynum had just paid the qualifying fee for the race on last week, reports say. The city’s General Election will take place on Tuesday, April 8, for city commission districts 1,3 and 5. The other two incumbent commissioners Jim Gray (District 1) and Robert F. Stuart (District 3) will not face any opposition. (The qualifying period to run ended on Friday). E. Juan Lynum, an attorney, ran unsuccessfully for the Orange County Commission in 2006. As it stands, according to the City Clerk’s office, four candidates have qualified to be on the ballot for City Commissioner, District 5: Cynthia Harris, Daisy Lynum, E. Juan Lynum and Regina Hill. Val Demings, former City of Orlando Police Chief, is not the last person to announce their candidacy for Orange County Mayor. According to the Orange County Supervisor of Elections Office, Christopher John Barros filed to run also on January 29. He lists himself as the treasurer of his campaign on the elections office website. That bumps the number of people running in the mayoral race to five, including incumbent Mayor Teresa Jacobs and Demings. The others are: Dunel A. Cadely and Nathaniel Wren Glover. The Primary Election for this race (and all Orange County races) is August 26. For Orange County Commission District 2, candidate Patricia Rumph has qualified by petition to be on the ballot in August. She’s early; the qualifying period for all local county elections is June 16-20. 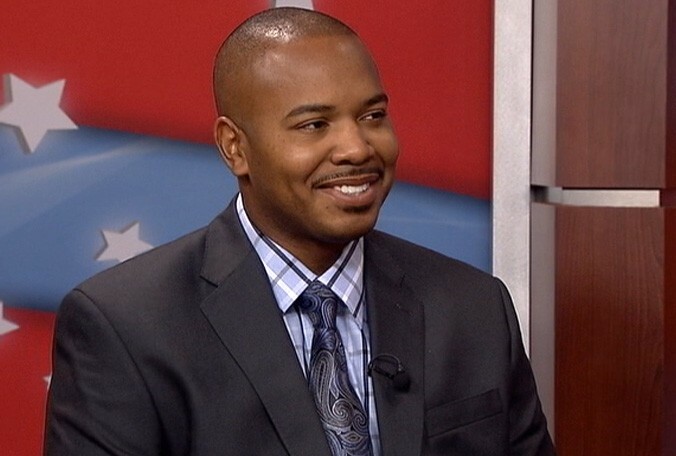 For Orange County Commission District 6, candidates Derrick Wallace and Virginia Whittington have qualified by petition to be on the ballot in August. For Orange County School District, Board Chair, one candidate has stepped up to compete against incumbent Bill Sublette. Gene Vernon Hair of Oakland filed papers with the elections office on January 22. Stay connected: The Election Connection at Orlando Community News online. This entry was posted in Community news that can help, Election Connection, Faith and Family, Work and tagged 2014, April 8, City of Orlando 2014 Elections, Cynthia Harris, Daisy Lynum, District 5 City of Orlando, E. Juan Lynum, Election Connection, Orlando Community News, Orlando General Election, Regina Hill, Trish Martin, Tuesday. Bookmark the permalink.